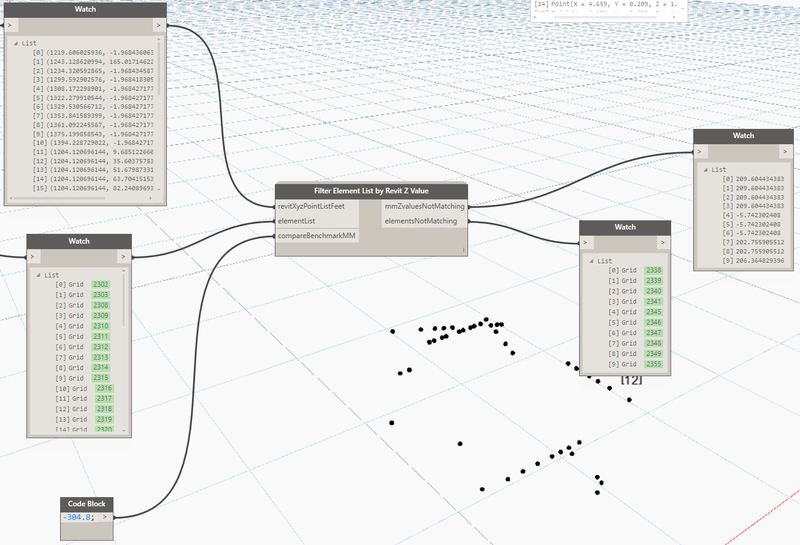 This node takes a list of Revit points (feet, XYZ format), unpacks the Z values, converts to mm, and then filters an input list by a given benchmark value. So, if you know that 90% of your Grids are set correctly with a -300mm lower Grid Z extent, place -300 in the input benchmark value, and you will get a list of ‘not matching’ elements. This allows quick checking of Grid extents that may be inconsistent.